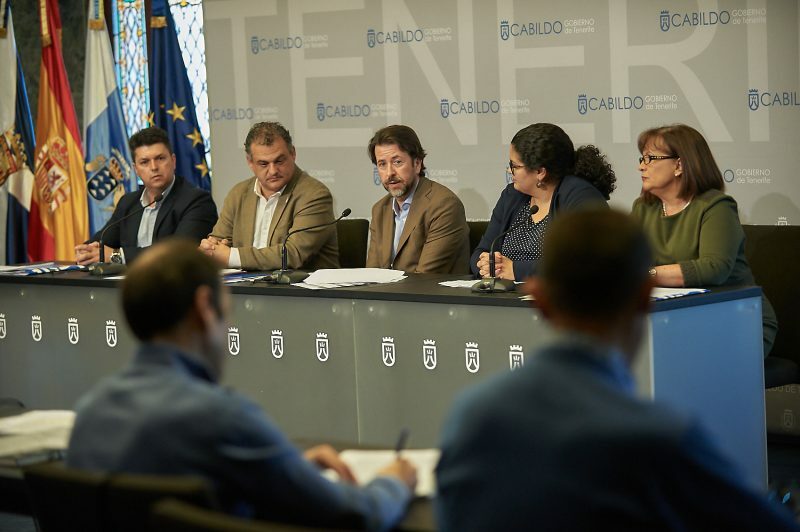 Cloud platform to improve the socio-health care attention of the Macaronesia region – ITER – Instituto Tecnológico y de Energías Renovables, S.A.
ITER particpates as partner in the PLASMAC project, a new project led by the Cabildo of Tenerife through its Open Government Area. The main objective of the project is the creation of a cloud platform to improve the socio – health care offered to the Macaronesian population: specifically in the Canary Islands and Madeira. The initiative, inspired by the principles of open governance (transparency, participation and collaboration) will allow to share and manage information in order to help public and political policy-makers to make better strategic decisions affecting the population in matter of social services. ITER contributes with its wide experience in the development of technological applications oriented to provide electronic administration services, as well as to improve living standards and foster social and labour inclusion of elderly people, and in general of people with special needs. The project was presented in a press conference addressed by the President of the Cabildo, Carlos Alonso, together with the Open Government regional Minister, Coromoto Yanes, the Innovation regional Minister Antonio García Marichal, the Director of the Institute for Social and Socio-Sanitary Care (IASS) and the Mayor of La Laguna, José Alberto Díaz on February 8. During his speech, the President stressed the importance of using new technologies in social welfare policies. “Plasmac will provide full services to people who need them” said Alonso, adding then that this experience could be used in other areas. The INTERREG MAC 2014-2020 European Programme funds the 85% of the Plasmac project, presented by the Cabildo of Tenerife, ITER, the Institute for Social and Socio-Sanitary Care (IASS), the Town Hall of La Laguna and the University of Madeira. All these entities will participate in this project using a set of technological tools located in a cloud platform that will allow the creation of a control panel where to share information and foster the participation and collaboration. In this way, social, organizational and technological efforts are intended to be added up to provide a tool that will enable the administrations involved to be more effective, efficient, preventive, proactive and open when making decisions regarding the design of public socio-health care programmes and policies and providing the citizens with social services in the most effective way. The spirit of this platform is to become the daily use tool for anyone involved in the decision-making in the socio-medical sector, so that this institutional cooperation will lead to an improvement of life standards of the inhabitants living in the cooperation area while improving public services. The Plasmac project is budgeted in 674.356,43 euros, of which 573.202,97 euro are financed by the European Union and the rest, 101.153,46 euros, are covered by entities that have presented the project with own contribution: Cabildo de Tenerife (26.880,06 euros), IASS (15.073,65 euros), ITER (28.875,02 euros), City Council of La Laguna (17.700,13 euros), and University of Madeira (12.624,61 euros).